2019 Passport Touring AWD. Lease for 39 months, 10k miles per year, .25 cents thereafter, $2,995 down, bank fee $895, tax, title and license due at signing. Offers cannot be combined. No prior offers applicable. Must take same day delivery and in stock vehicle. Vehicle shown may differ from advertised model. 2019 Passport Touring AWD. Lease for 39 months, 10k miles per year, .25 cents thereafter, $0 down, bank fee $895, tax, title and license due at signing. Offers cannot be combined. No prior offers applicable. Must take same day delivery and in stock vehicle. Vehicle shown may differ from advertised model. Are you looking for a new vehicle? Do you want to try something new? The new 2019 Honda Passport has arrived at Atlantic Honda in Bay Shore NY. This model is designed with several features that drivers may like. Let’s take a look at what this vehicle can do for you and your family. The 2019 Honda Passport comes standard with a V6 engine that delivers 280 horsepower and 262 pound-feet of torque. The Honda Passport also has available All-wheel Drive and Active Noise Cancellation™ (ANC). If you are parked on a hill, the 2019 Honda Passport has Hill Start Assist to give you an extra hand. You can also use the Intelligent Traction Management on snow, sand and mud with the All-wheel Drive. Now that you know more about what performance technology this vehicle has, let’s take a look at what interior features it has to offer. When you sit inside a vehicle, you want to feel comfortable. We want to show you some of the features that aim to make passengers inside the Honda Passport feel right at home. Let’s take a look and see what it can do for you. We hope we helped you find everything you were looking for. If you want to learn more about the 2019 Honda Passport or any of our other Honda models, you can check out our online inventory and schedule a test drive with us at Atlantic Honda today. 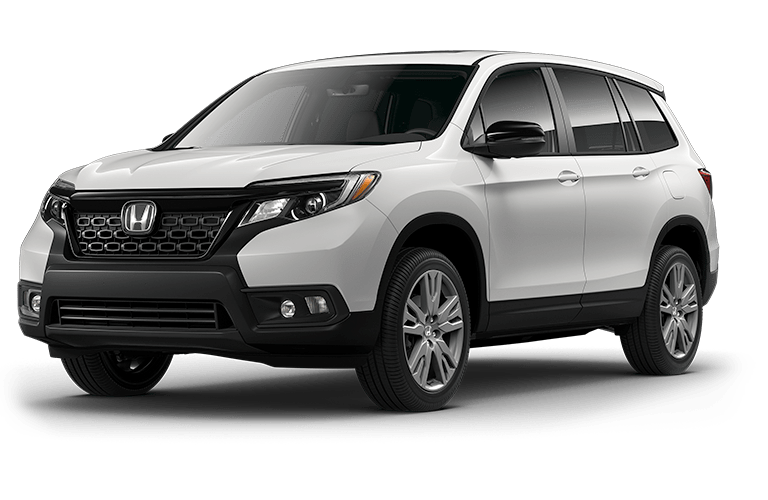 Interested in a 2019 Honda Passport?